Business cards are tools that come handy during networking. They primarily are used to exchange contact information but there are some jobs that demands much more. 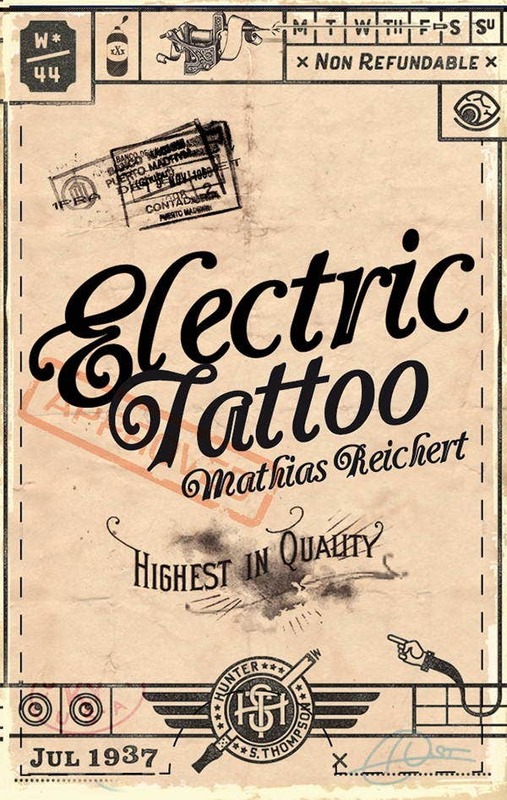 Tattoo art, for instance, required creativity and the same should be reflected in your business card too. 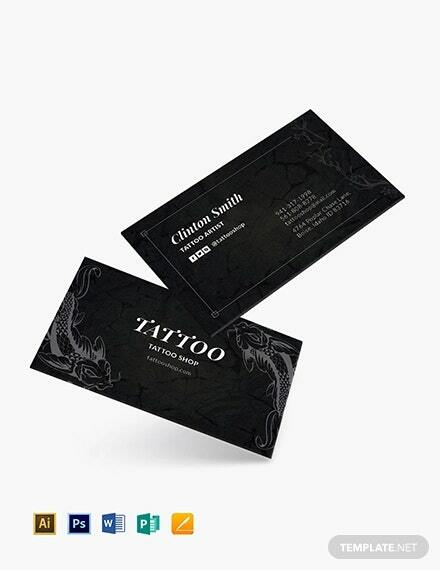 Tattoo business card can reflects the innovativeness of the tattoo studio. 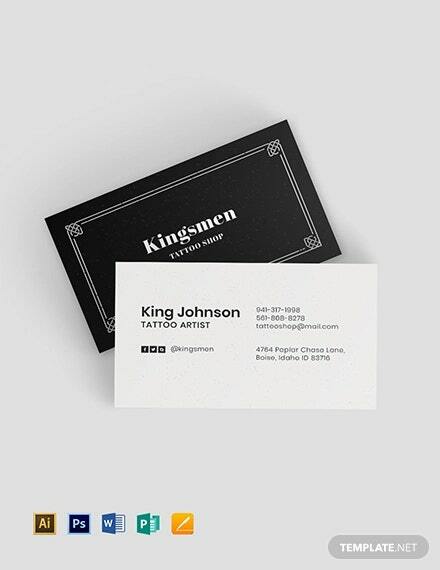 We have some great tattoo business card to exemplify the statement given above. 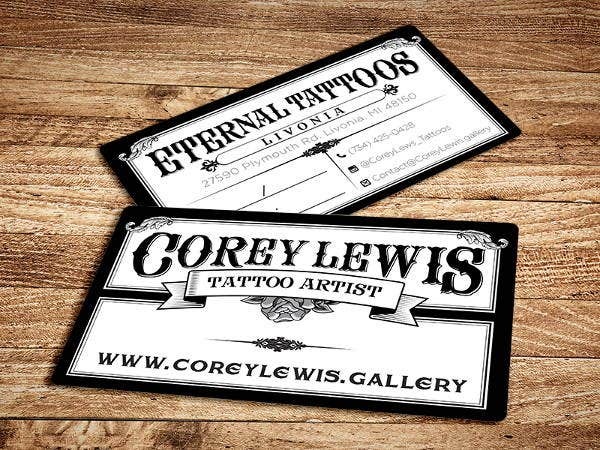 If you don’t have a business card for your tattoo studio, we are sure the list is going to change your mind and you will look forward to get one business card for yourself. 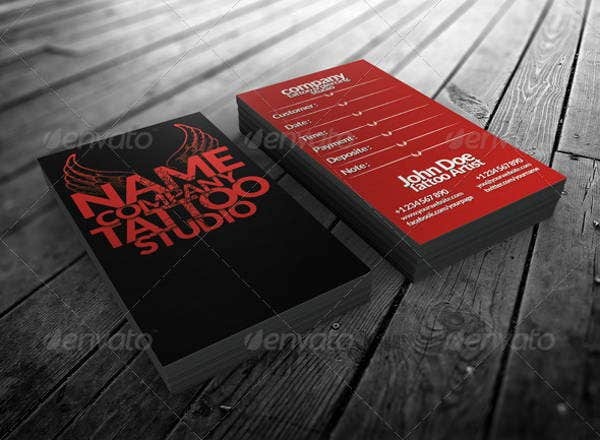 This is a bundle of around 150 templates comprising of a variety of professional design that you can use to create a business card for your tattoo studio. The template also come with free fonts. These cards are print ready. They come in PSD format with smart layer that allows you to include your own design in the template. You can also add text and background to the template. 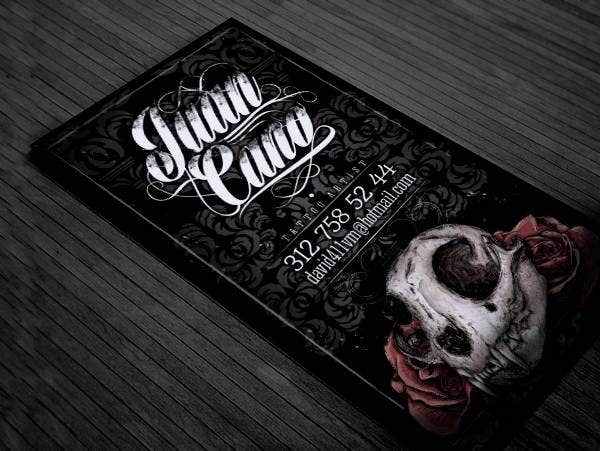 Here is a guide to creating illustrated tattoo business card. There is a dark interesting background and an illustration on the front along with the contact information. This is a one-sided business card design and makes for a good inspiration. If you are a fan of retro, you can show that via your business card. 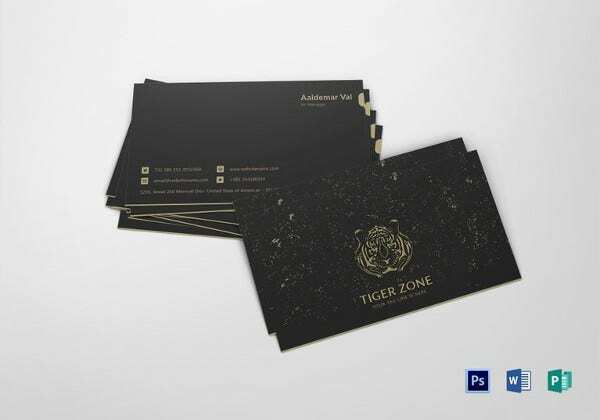 With retro design, your business card would certainly gain a lot of attention and would exemplify your creativity in front of your clients. If you like to bond and edgy fonts, don’t be afraid to use them on your business cards. The template here teaches how to use such fonts effectively on business cards. 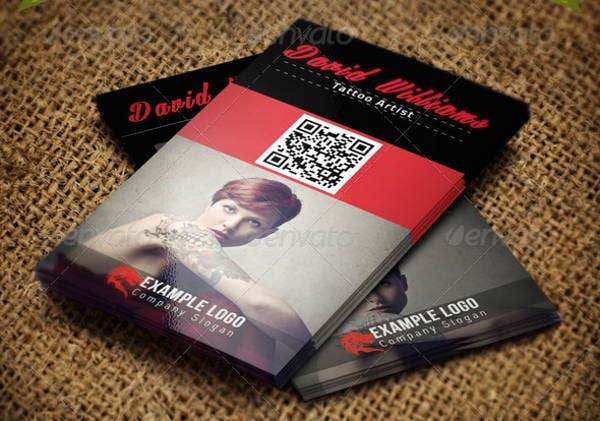 This business card can help you come up with ideas and concept that you can use to create your own tattoo business cards. 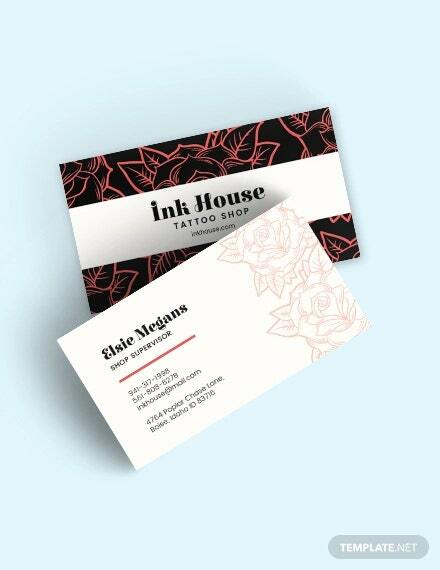 This business card templates allows you to create a business card that can be printed on both sides. 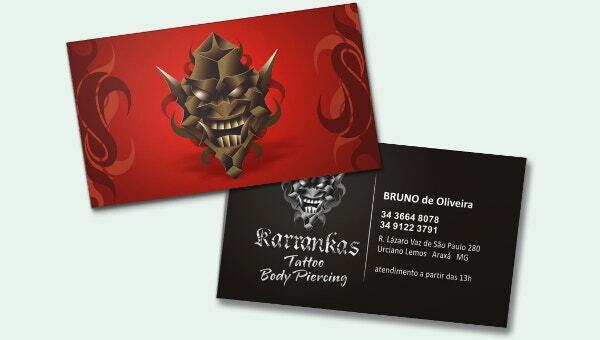 One side illustrates the name the tattoo studio or tattoo artiste while the other side has the contact information. This fully layered template is easy to edit provided you have photoshop. 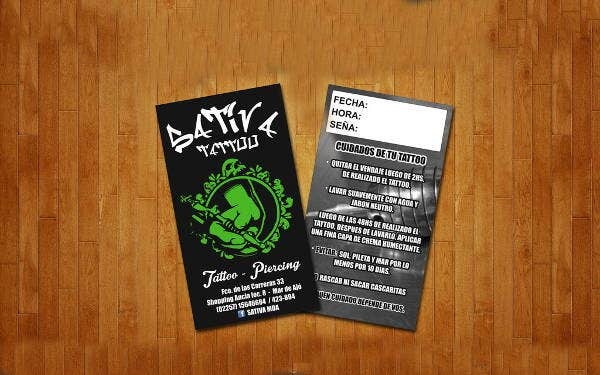 Another tattoo business card that has a major illustration resembling a tattoo design. With this template you can in fact use your own tattoo design and use it as an illustration for your card. This is a fully layered template and that makes editing very easy . 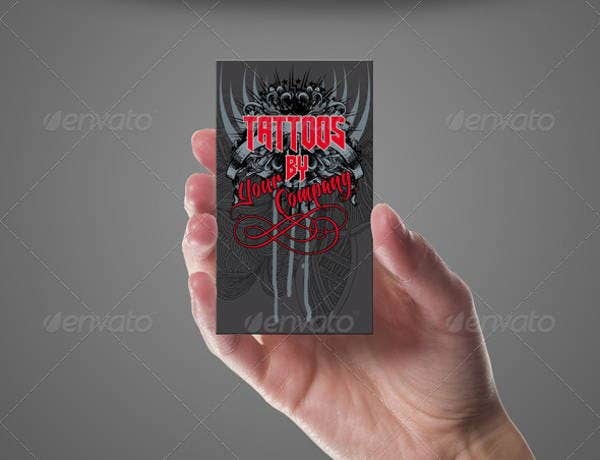 The design here appears serious for a tattoo business card and if this is what you are looking for then this is the perfect example to look for. The design is different from the rest of the designs and also appears unconventional for tattoo art. 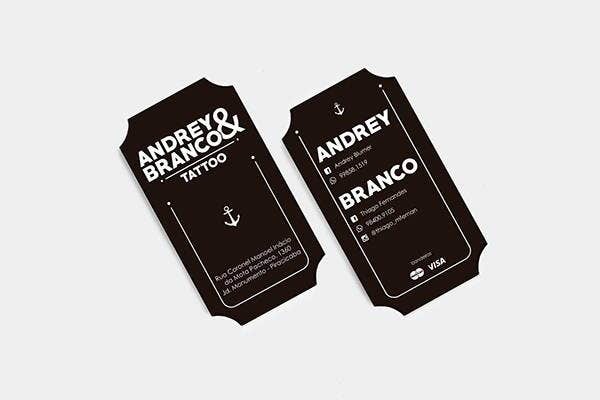 You can also go black and white for your tattoo business card idea as it looks clean, simple and perfect. The example given here perfectly illustrates this fact. 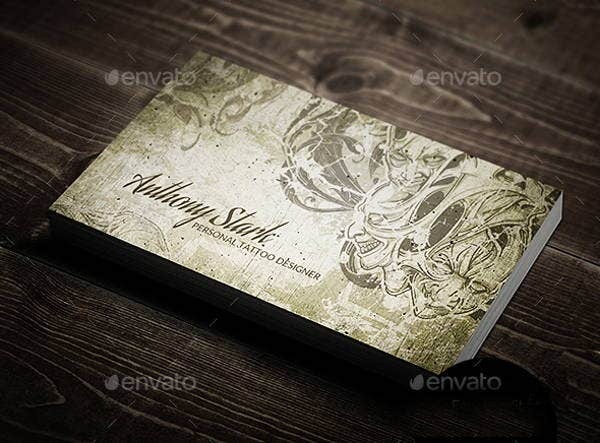 Another vintage style business card template suitable for tattoo studios and tattoo artists. This is is more classy and elegant and if that is the message you want to give then you should certainly go ahead with this template. This tattoo can be printed on both sides, provide you a lots of scope for design and creativity. 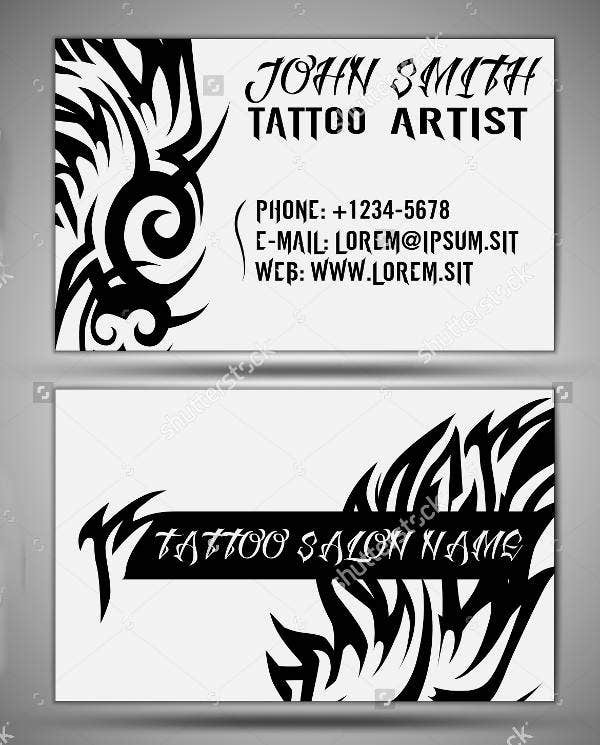 The template would provide you a great format and structure, to which you can create an interesting tattoo business card design. If you are a tattoo artist or own a tattoo studio, we hope the templates were inspiring. They are easy to use and are of great help when it comes to setting the foundation of the design. Most of them are also fully layered and can be edited in Photoshop. 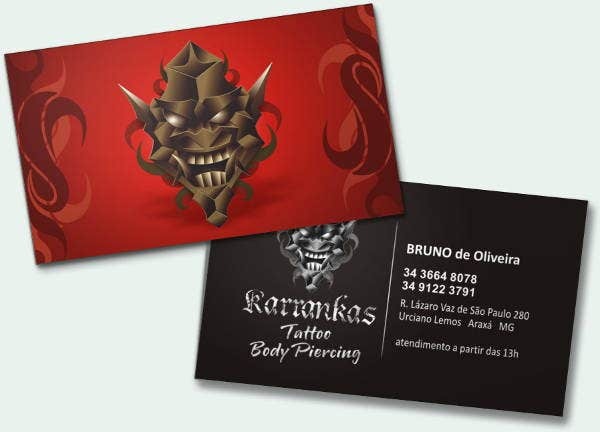 There are all kinds of design that we have tried to include in the list and if you come across tattoo business cards that are unique and beautiful, please do share with us.